Going on vacation is the perfect opportunity to jazz up your environment and stay somewhere with some real personality. Look no further than Grace Place! This stunning 2 bedroom rental condo isn't only snazzy with a contemporary feel: it's also in a great location. 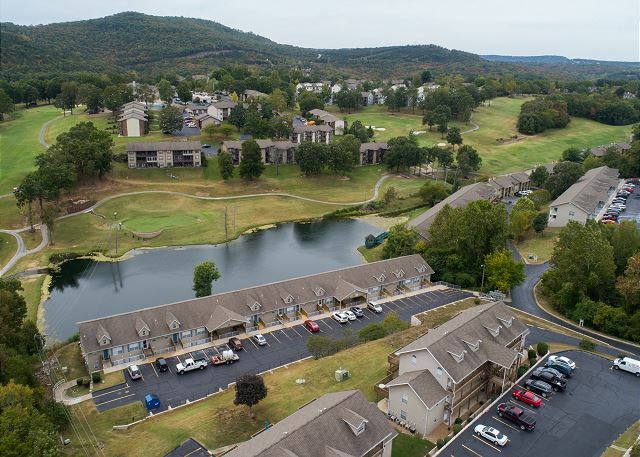 Fall Creek Resort is a short drive from the Branson Strip, home to several amazing live-entertainment shows, wonderful stores, and fantastic restaurants! You can always find something to do on the Strip. 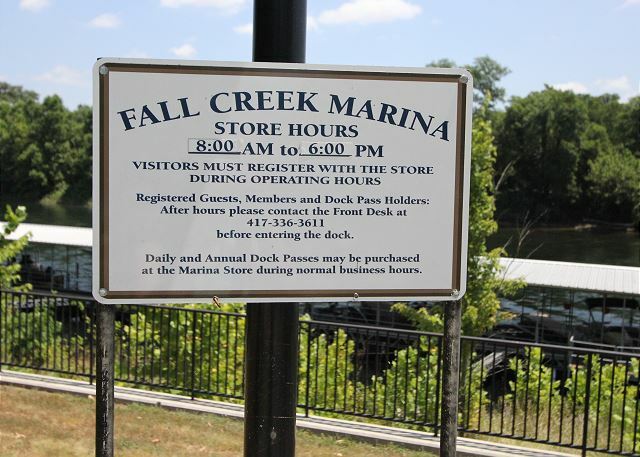 If you don't want to drive, that's okay too, because Fall Creek is filled with several great ways to spend your day. 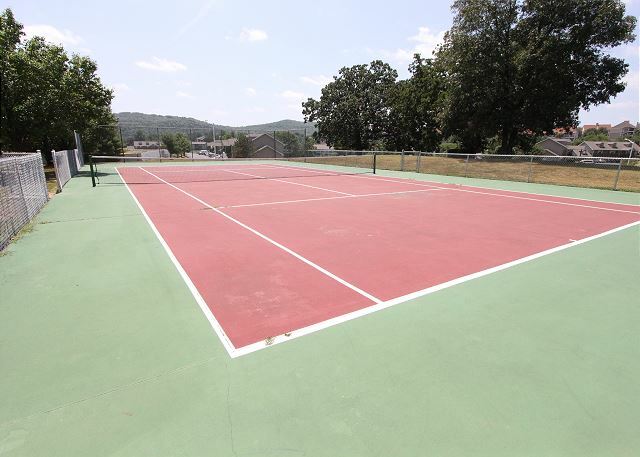 Practice your tennis swing at the courts, or make a splash in the indoor community pool. 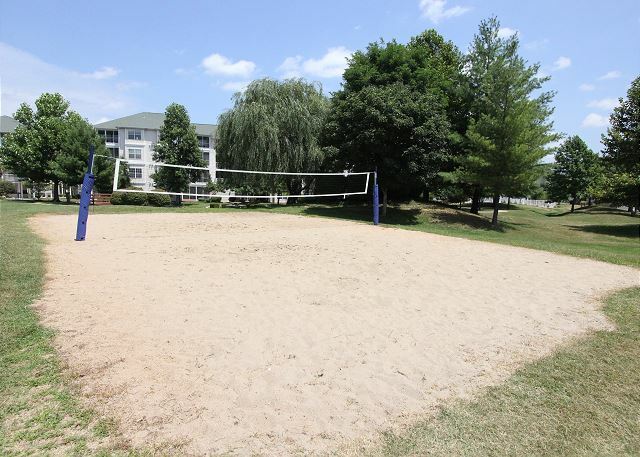 You also have access to sand volleyball, a marina, shuffleboard, fitness center and more! 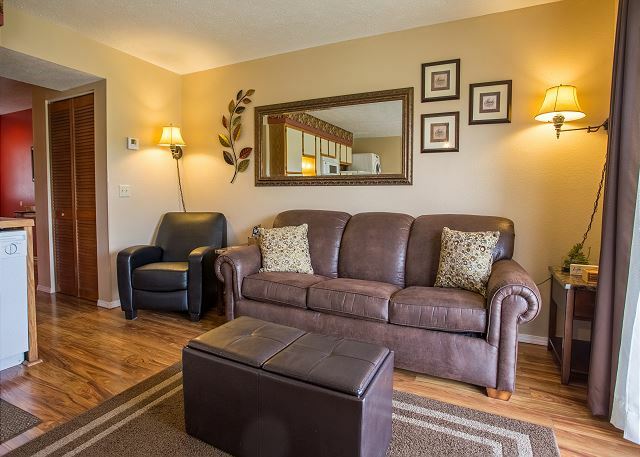 When you get your fill of fun, head back to this delightful condo and put your feet up to relax. 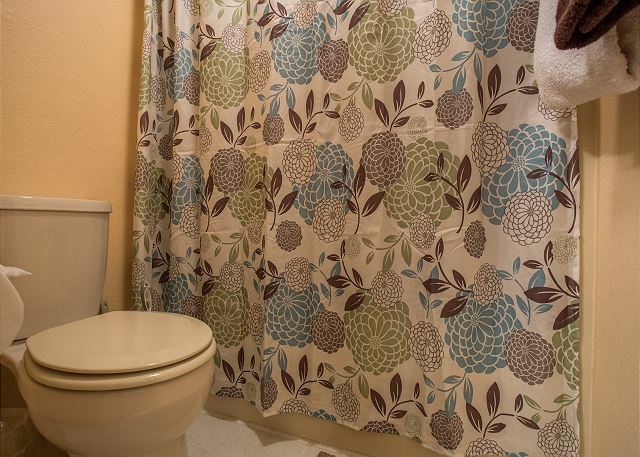 After all, it's easy with the calming atmosphere the decor provides. Beautiful hard wood floors and rich, warm tones throughout fill the space with the feel of high-class living. Take a moment to catch up on the news or simply watch your favorite shows on one of the 3 flat screen TVs. 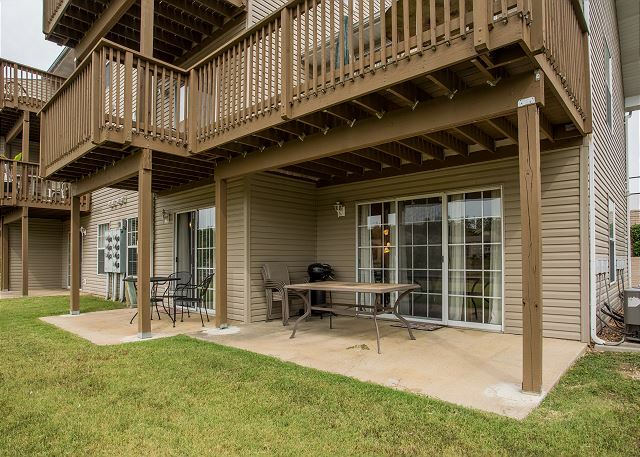 Brew a fresh cup of coffee or whip up a scrumptious meal in the kitchen before taking a seat outside on the patio to chat with your guests about the fun you've been having in Branson. When it's time to rest, lay your head knowing that you've picked the perfect place to make wonderful vacation memories. 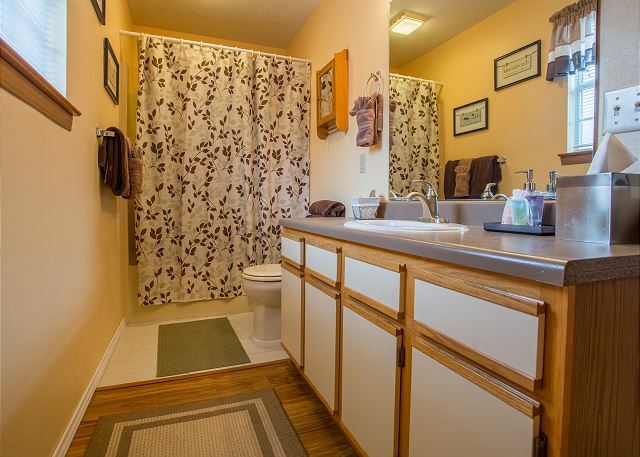 Spacious bedrooms plus two full baths added up to lots of privacy when wanted. The main room packs a lot - kitchen, laundry, dining, living - into one room. Although noisy at times, it does keep the whole family together.The kitchen could use some new cups or glasses, plus cooking utensils. A couple of the cups were cracked and leaked, plus plastic cooking spoons were quite small and a spatula was missing a handle. 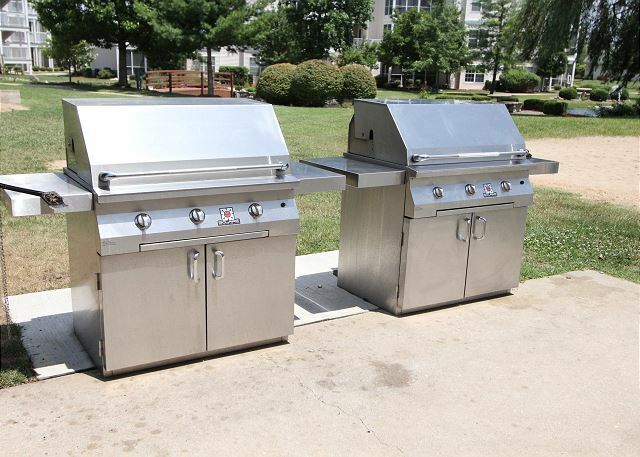 These items could be upgraded to better quality at a very small cost. 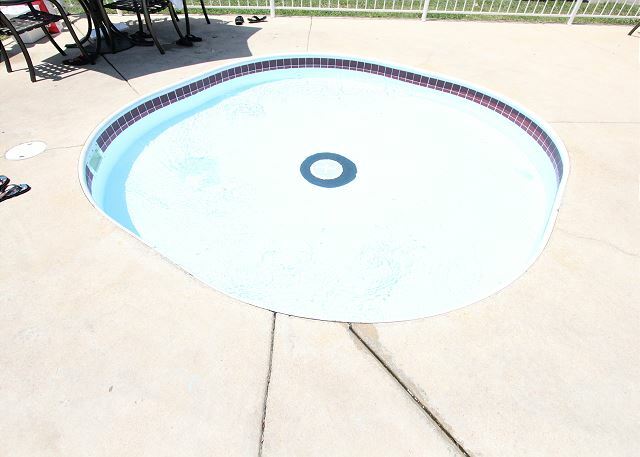 The nonstick surface on the pans was wearing thin, and will need replaced soon.The resort's indoor pool is a nice sized one that will accommodate lots of kids. A nice feature is a dedicated lap swim time in the morning. Cute condo...met our needs. Would use again! We can't wait to have you stay with us again, Candee! Thank you for the great review! 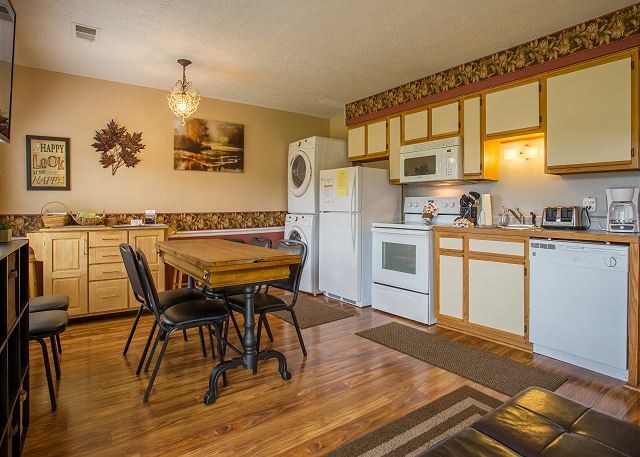 Condo was clean and kitchen stocked with everything you needed. No complaints during my stay and will use Sunset Rentals again. 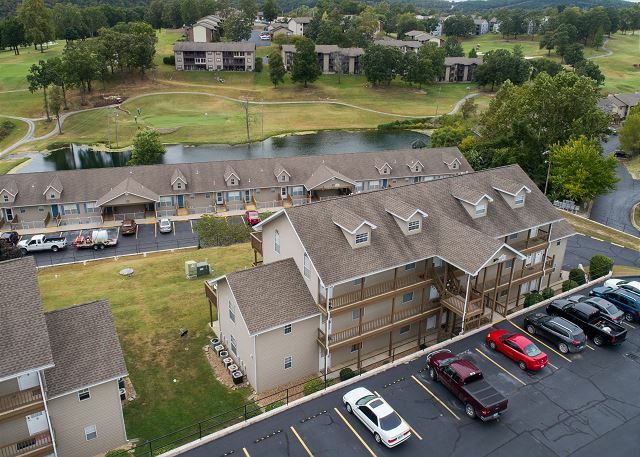 Condo was convenient to various locations in Branson I attended. We are so excited to host you again, JoAnn! 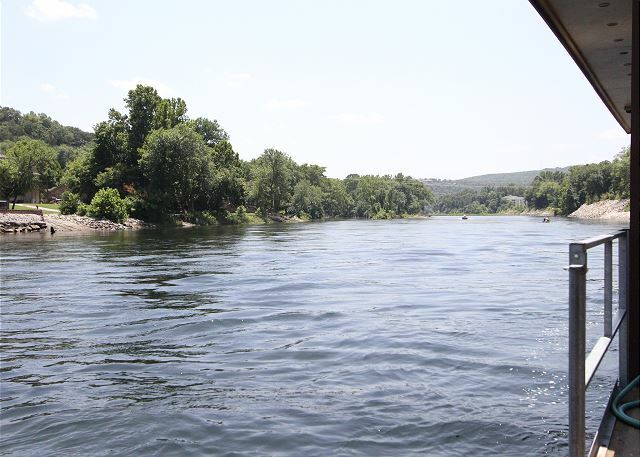 Thanks for the great review and we will see you on your next Branson vacation! We are so glad to hear that you and your family enjoyed the stay, Karen. 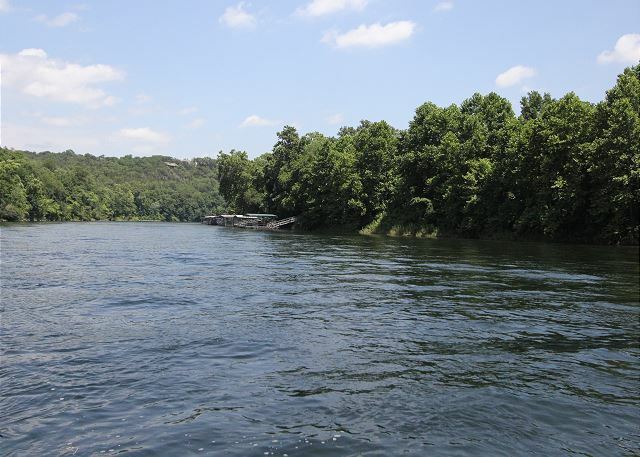 We hope to have you stay with us again on your next trip to Branson! I was very pleased with the condo! There are two bedroom. One is closed off by itself with a nice, large bathroom. The other sits off the sink area of the 'condo' part. 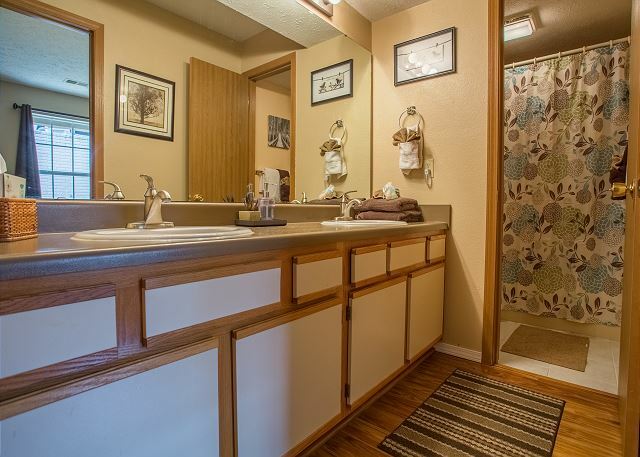 Past the sink area is a bath and toilet in a separate room. The living/dining/kitchen are one room rather than areas as I've seen in the past. This wasn't a problem for us. There are Televisions in all rooms. We slept well and felt like the price was right on target. It was very clean and easy to get to. Would stay again if the opportunity allows. Grace Place was exactly what we needed. We were able to enjoy our time in Branson, then come "home" and relax. Loved having 2 king beds. The washer and dryer made coming home so easy. I was able to do the laundry from the week before we left. 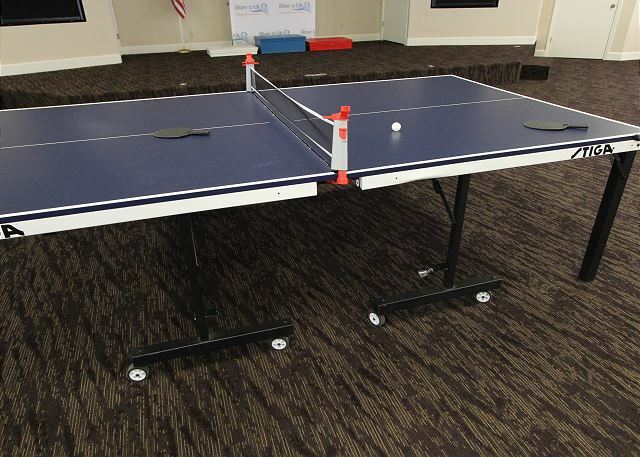 The resort had all the amenities we could ask for. We had a great trip to Branson and our stay at Grace Place was enjoyable. The home was comfortable and very roomy for 3 adults and two kids. The subdivision was clean and quiet. We liked express check-in and out and directions were easy. The housekeeping was good and plenty of kitchen supplies for cooking and newer appliances. Patio table was great. Pretty landscape. We didn't have time for swimming but kids loved having WIFI. My recent stay at Grace place was okay. I was expecting something a little different not an apartment. I didn't expect to have to take out my own trash I thought that's what housekeeping was for. But overall it was a clean and safe place to stay. It was great! We had plenty of room, the accomodations were excellent and we had a great time visiting with our family. We loved the place. 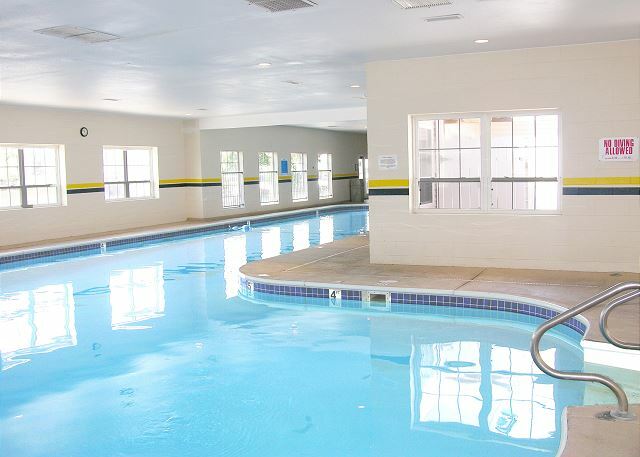 However, when I made the reservations on the phone and online it says that there is a pool(which there was but it was behind another building complex) and sand volleyball, indoor pool, mini golf, etc. which we saw at the entrance and when we went there(which we had to drive to, maybe 4 blocks away) they stated it was only for such and such buildings. We stayed at this location because of the amenities it had for the kids and then they weren't able to do them which made us spend more to take them out on the strip to make up for it. Thank you for your review, Alicia. 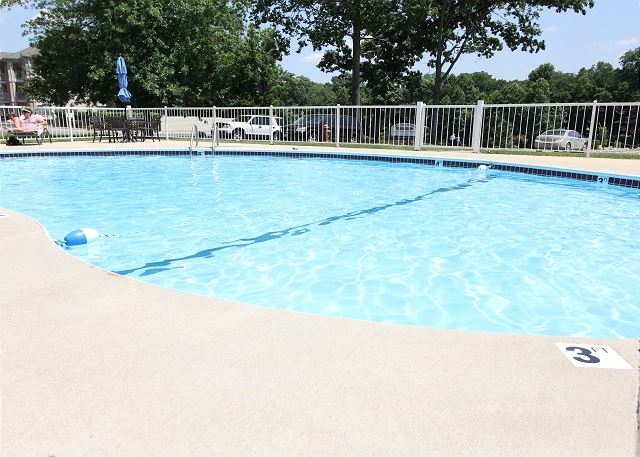 This unit DOES have access to the amenities at Fall Creek which include the swimming pool, miniature golf, sand volleyball, and marina and the on-line marketing is correct. I apologize if someone at the resort gave you misinformation regarding this. Please feel free to contact us regarding these type of issues during your stay as our phones are answered 24 hours per day, 7 days a week and we would have been happy to straighten this out for you if we would have been aware. I'm not sure why but the main bathroom or the bathroom in the hallway smelled Like pee by the toilet. There was a small tan rug and maybe that was where the smell was coming from?? The other bathroom was fine! Just a little frustrating! Might want to check that out! We stayed at Grace Place for a long weekend in Branson with the kiddos. The location was great because we could take back roads everywhere and avoid the traffic of 76. 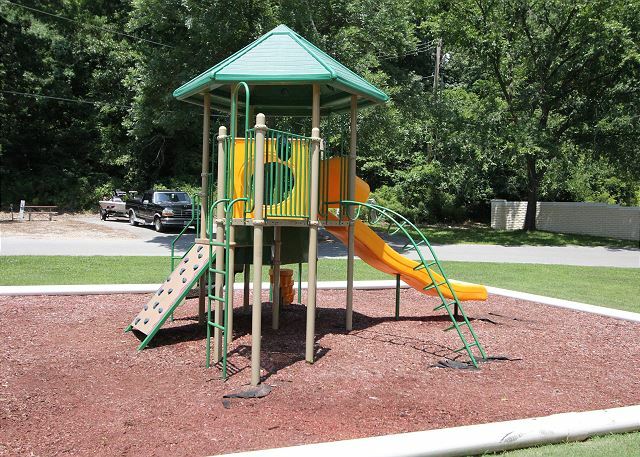 Also, the amenities at Fall Creek were great for the kids, they had a blast. 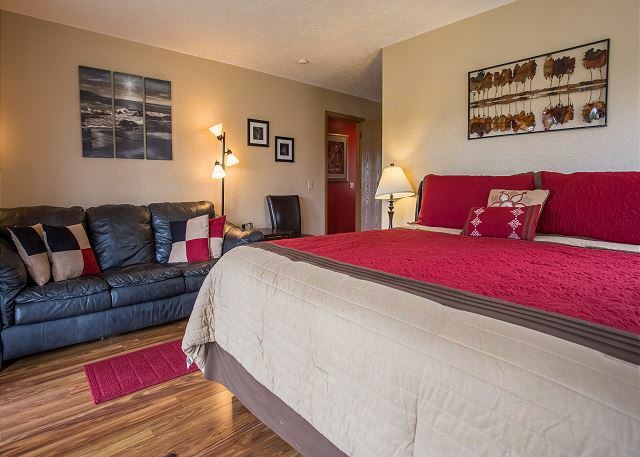 We were unsure about the layout of the condo from the pictures, but it ended up being perfect, very comfortable and homey, with a well stocked kitchen. My only complaints are that the beds are older and pretty broken in, and we did see a spider and some ants in the condo. We still enjoyed ourselves and would stay again! Good morning, Kristin. We're very glad to hear that your stay at Grace Place was a lovely one. We also appreciate your feedback, and will remember your input as we move forward. 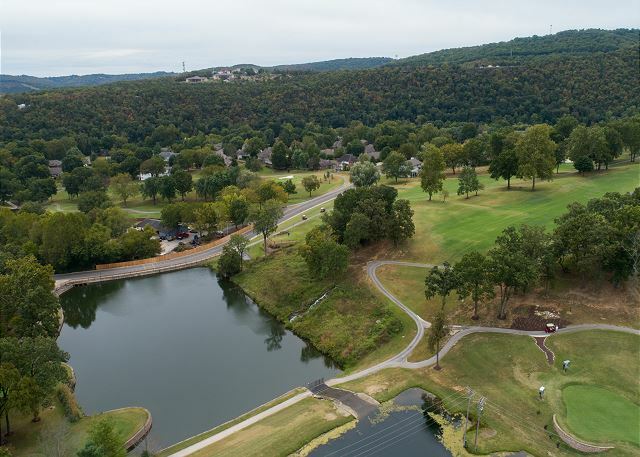 Please come visit us again soon, and don't forget to mention your previous stay for a returning guest discount on your next Branson vacation! 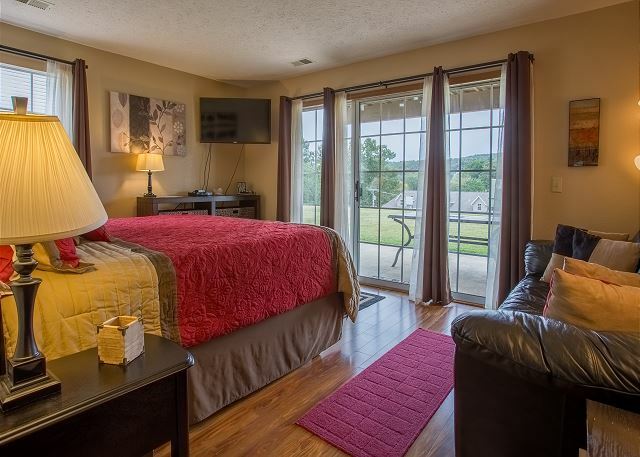 We planned a last minute mini vacation to Branson and were able to book this condo. Very happy with it overall. It was not our first choice but turned out to be a good one. 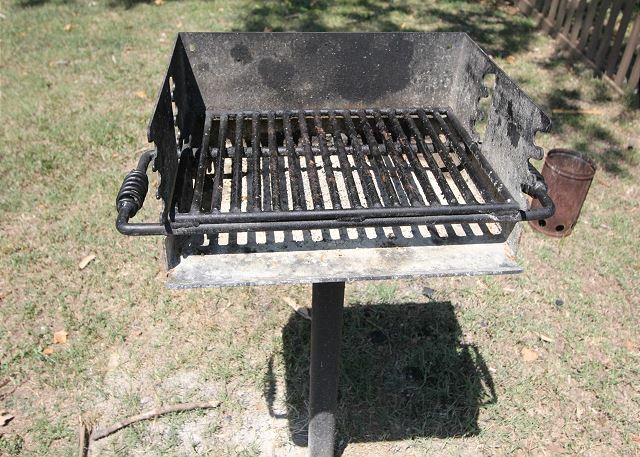 Property was clean and ready to go. Very, Very well stocked. 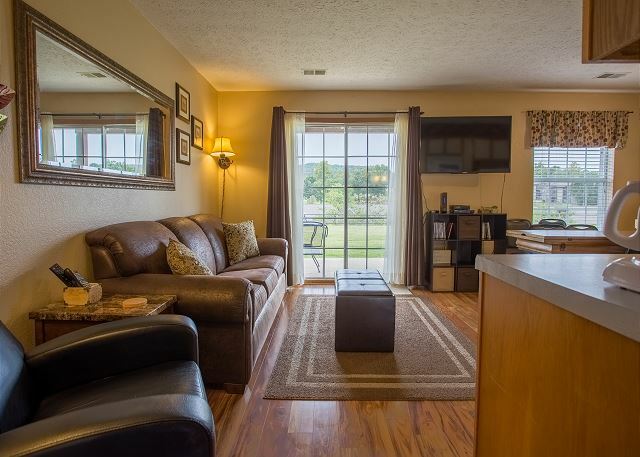 By far the best condo we have rented from the perspective of having things we need and things we would like to have to make the stay convenient and pleasurable. They have every kitchen gadget you need and plenty of everything. Most condos have the bare minimum covered but I felt at home for the most part in this one. There were extra pillows, bed sheets, blankets, towels, etc. There were TVs in each room and board games in the closet. I cannot think of anything we needed that we did not have covered. 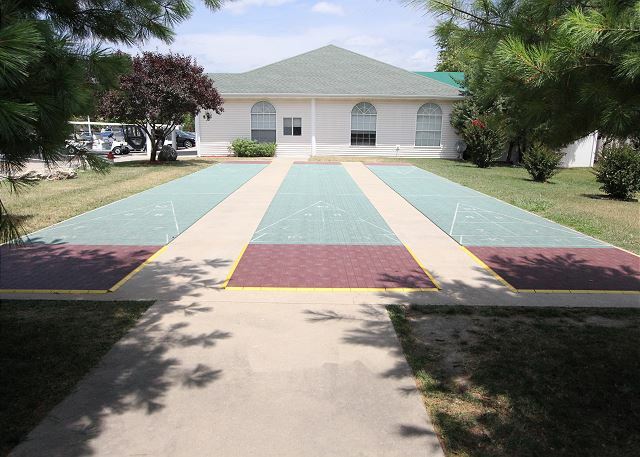 Access to the pool, tennis, games, etc was a bonus as well. We didn't spend a lot of time on the property but with two younger kids who like to be on the go all the time it was perfect. Also, the pool stays open until midnight which is great because most hotels close them early and the kids like to swim after we get back from shows and such. Definitely would book again. We loved the condo! Set up was great for our family of 6! Two kids in one bedroom, 2 kids in pull out couch and a room for mom and dad. Everything was clean and nicely decorated. Had everything we could need, fully stocked with kitchenwear, extra pillows, blankets, sheets, towels you name it! Also had big TVs in every room which was great for quite and relax time. Complex was quiet, heard no noise from neighbors or parking lot. Visited the pool which was clean and had plenty of chairs and tables. 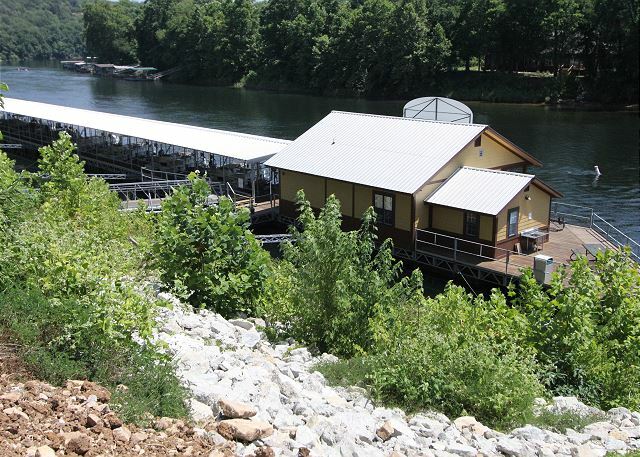 Marina was closed while we visited due to flooding but would love to check it out the next time we visit. Close to everything we wanted to do, we would definitely recommend to friends and family looking for a place to stay in Branson! Good afternoon, Danielle! Wow, we really appreciate your amazing review! We're also incredibly happy that you enjoyed your stay at Grace Place. We would absolutely love to help you book your next Branson vacation, and we have a special returning guest discount waiting for you when you're ready to return! Pool bathrooms were never operational - had to go to Activities Center. Not sufficient linens in apartment.Furniture and under beds had not been dusted. Trash under bed in smaller bedroom. Owner should be dissatisfied with cleaning agent. Hi, Jim. Thank you for your feedback, we really appreciate it. We apologize for the issues you experienced, and we will be speaking with our cleaning crews about this. We hope to see you again in the future, and make sure to mention your previous stay with us for a returning guest discount! It was better than we expected!!! This was better than the kids and Danielle expected... 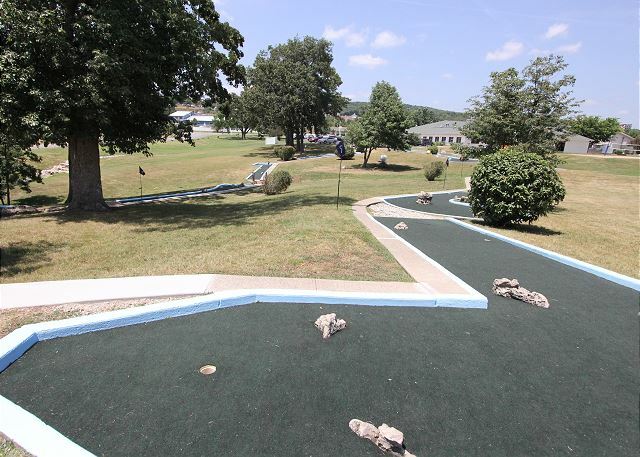 The kids went swimming, rented movies and putt putt when ever they got ready! The rooms where huge. We will be vacationing with you guys AGAIN!! 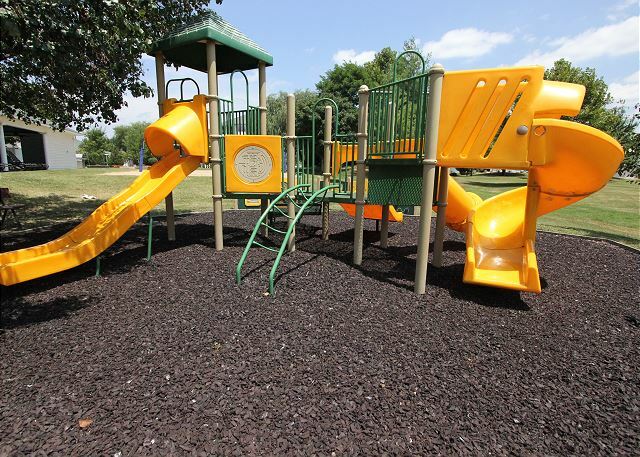 We're very glad to hear you enjoyed yourself at Grace Place! Thank you so much for your feedback. We can't wait for you to come back and visit, and be sure to mention your previous stay with us for a repeat guest discount! Restful and Quiet, Well stocked! Clean, neat and comfortable.Informed management of broken shower in guest room.Hard to find because there was no street sign on road that condo was on.Directions confusing but worth the time and effort once we found it! 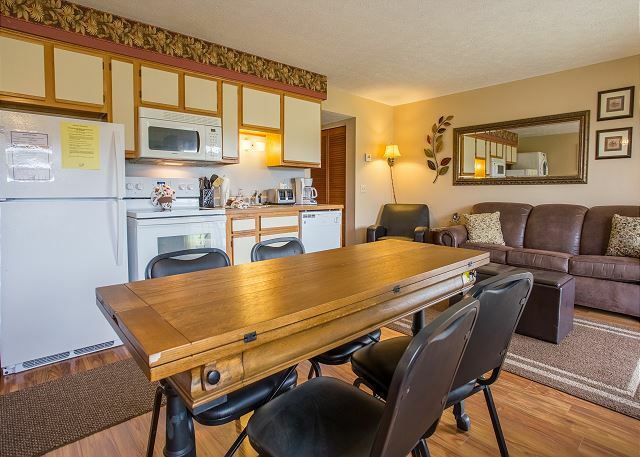 Everything is quite compact in the combo living/dining/kitchen/laundry room. However, this is mostly ok, as everyone can visit while meals are being prepared and cleaned up.It's all very nice and modern - especially the bedrooms. 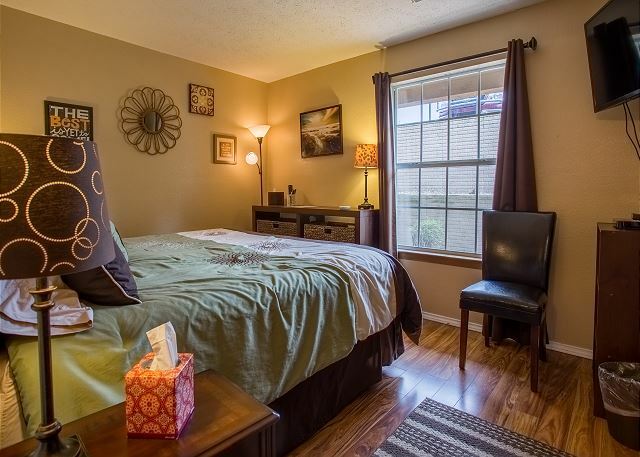 The beds were extremely comfortable, and all three tv's are large and have a great picture. This is the best stocked kitchen of the several condos we have rented. 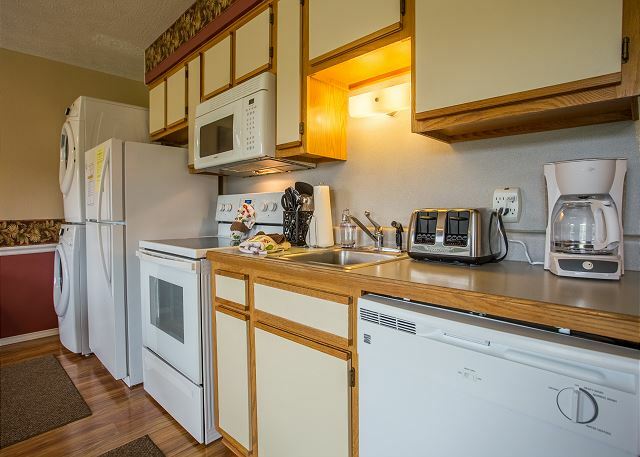 There are plenty of pots, pans, and cookie sheets, along with cooking utensils.The location is good and it was very quiet. 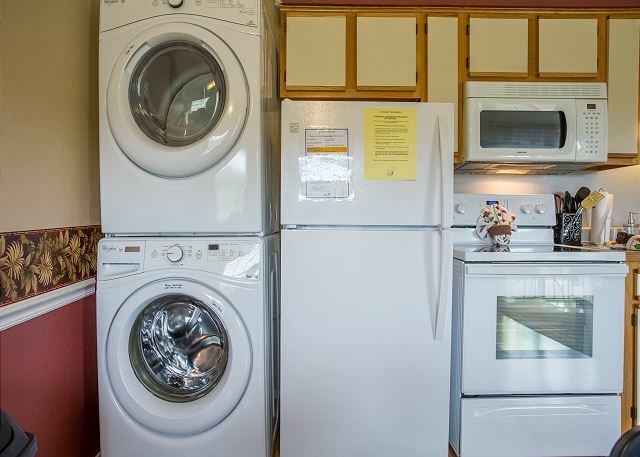 We never heard noise from units beside or above, nor any noise from outside.One frustration was related to the fact that we cooked and used the dishwasher, as well as the washer and dryer. Additional clothes washing detergent packs were easily accessed in the closet, but not dishwasher detergent. This was a great rental! We stayed here over my birthday weekend with our close friends. 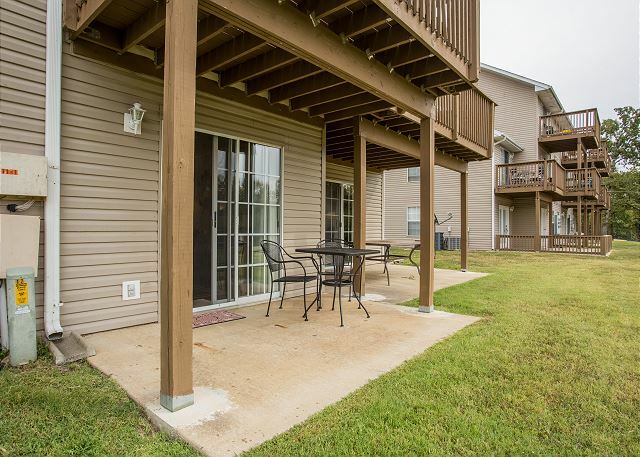 We spent our weekend at Silver Dollar City, and this condo was in the perfect location. It looked newly renovated, the two king beds were comfortable, and the living room/kitchen was open and great! The kitchen was fully stocked and came in handy. They even had board games for us to play which was a nice treat. Would definitely recommend and would stay here again!